More than 200 high school and undergraduate students statewide benefited from real-world advice, faculty interaction, and a mock interview for medical school during MCG’s 2015 Igniting the Dream of Medicine conference Feb. 28. The conference, sponsored by the MCG chapter of the Student National Medical Association and the Office of Student and Multicultural Affairs, was held in the J. Harold Harrison, M.D. Education Commons. MCG doctors can reduce the risk of atrial fibrillation with a nonsurgical procedure to lasso and tie off a piece of the heart, blocking stroke-causing blood clots from forming there. Atrial fibrillation is characterized by erratic electrical impulses that preclude normal atrial contractions and squeeze blood out of the left atrium and left atrial appendage. Blood that collects in the appendage can form stroke-causing clots. The LARIAT Suture Delivery Device targets that appendage, the pouch-like piece attached to the outside of the heart. “Research has shown that close to 90 percent of stroke-causing clots come from the left atrial appendage. If we can take away this danger, we can decrease a patient’s stroke risk,” said Dr. William Maddox, an MCG cardiac electrophysiologist. The LARIAT is particularly helpful for atrial fibrillation patients who can’t tolerate blood thinners, Maddox said. The procedure is minimally invasive and has a low risk of complications. 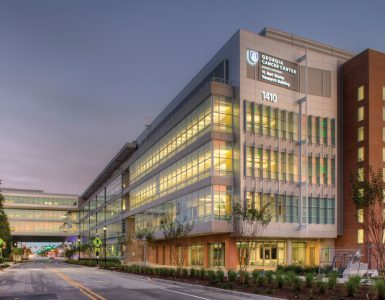 The founders of Georgia Regents University’s student-run Equality Clinic have been named the 2015 recipients of the American Medical Student Association/Gay and Lesbian Medical Association’s Lesbian, Gay, Bisexual, and Transgender Health Achievement Award. The Equality Clinic, which is operated by students and supervised by faculty, became the first clinic in the Augusta area to target lesbian, gay, bisexual, and transgender patients when it opened in fall 2014. The free, twice-monthly clinic offers primary care in a culturally competent environment. While the clinic primarily focuses on LGBT populations, it is open to anyone whose income falls below the 200 percent poverty level and who is uninsured or underinsured. Recent studies have shown that more than half of gay, lesbian, bisexual, and transgender patients have been refused care, blamed for their health status, physically or verbally abused by a provider, or refused to be touched by medical staff. The Equality Clinic opened to help address and eradicate those barriers. Student founders include second-year MCG students Charlotte Ball, Michelle Cohen, Kyle Friez, Caleb King, Kevin Robertson, and Lauren Titus; fourth-year medical student Justin Neisler; and Nicole Mayberry, a first-year physician assistant student in the GRU College of Allied Health Sciences. A powerful, focused beam of radiation can help beat back cancer that has spread to the spine, physicians say. With spinal radiosurgery, physicians use what Dr. Feng-Ming “Spring” Kong calls the “X-knife,” because of its power and precision. 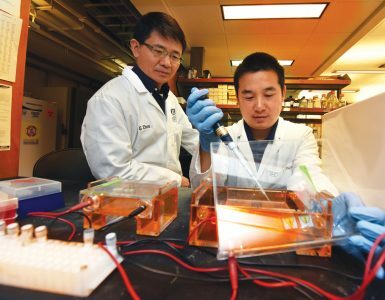 The approach provides about 90 percent control of tumor growth and 80-90 percent pain control compared to closer to 50 percent results from other methods, said Kong, radiation oncologist and Associate Director in Advanced Technology for the GRU Cancer Center. 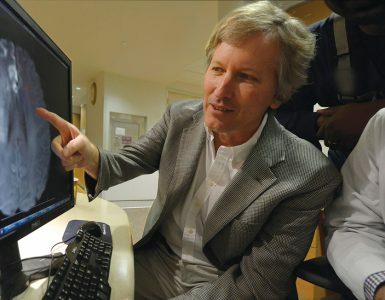 The technique uses MRI and CT to precisely pinpoint cancer sites in the spine and secures patients in a personalized mold to ensure the sites are targeted. RapidArc technology delivers a three-dimensional radiation attack that takes about 10 minutes. While not considered curative, the therapy can dramatically improve quality of life, the physicians said. Spinal radiosurgery also can relieve compression of the spinal cord and treat tumors that originate in the spine. 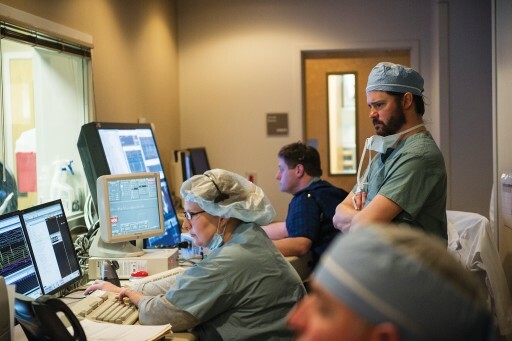 “This is a focused beam of radiation designed to shrink and control the tumor at the site of the spine that will not only keep it from growing rapidly, but also control the pain,” said Dr. Cargill H. Alleyne Jr., Chairman of the MCG Department of Neurosurgery. 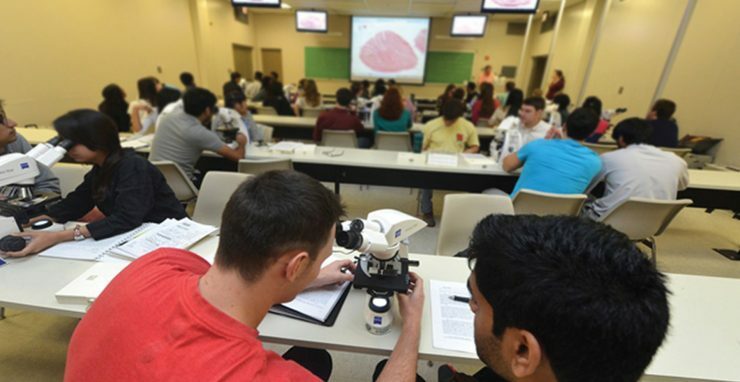 recent-history 30 percent remaining in Georgia; 20 percent, or one in five, chose one of the 44 training programs of MCG and GRHealth. Forty percent of the students are pursuing primary care; internal medicine and pediatrics were top picks for students staying in Augusta. Students at all four campuses did very well in this competitive national program that matches senior students with residency programs.